Besides being an essential nutrient for the growth and maintenance of healthy bones and teeth, calcium plays an important role in blood clotting, weight management and muscle contraction. When people think about calcium rich foods, the first thing that pops into their mind is usually dairy. However, there are quite a few vegetables that provide significant quantities of calcium. Some of these vegetables are also high in compounds called oxalates, which bind to calcium, thereby preventing your body from absorbing some of it. Because of this, it is a good idea to eat a variety of the vegetables listed on this page, together with other calcium rich foods, in order to meet your daily needs. Calcium requirements for people above the age of 4 range from 1000 mg to 1300 mg per day. Below is a list of vegetables that are high in calcium. If you take a look at the nutritional profile of this green leafy vegetable, you will be seriously impressed. Together with calcium, it is also an excellent source of vitamins A, C & K, some of the B vitamins, iron, magnesium and manganese. The oxalate content of collard greens is considered to be medium, meaning a fair amount of the calcium is available. Collard greens are a cruciferous vegetable, which have been shown to have strong cancer fighting properties. Also this study found that eating steam cooked collard greens can help lower the risk of cardiovascular disease. If you are a passionate gardener, you may have uprooted this colourful plant (which is considered to be a weed) and discarded it. But did you know that dandelion greens are both edible and a potent source of vitamins and minerals? One cup of the greens provides you with roughly 10% of your daily requirement of calcium. The next time you are out in the garden, grab a bunch of these greens and give them a wash in the kitchen. You can then use them in lots of delicious recipes including salads and sauces. Also commonly known as rocket, arugula is widely available in grocery stores and at farmer’s markets. It has a distinct peppery flavour and is used as an ingredient in all kinds of recipes. A cup of this vegetable provides you with roughly 4% of your daily requirement of calcium. Because arugula is made up of more than 90% water, it is very low in calories (only 4 calories per cup! ), so it is possible to easily eat 3 or 4 cups of it in one sitting. Apart from calcium, arugula contains a compound called erucin, which is thought to have cancer fighting properties. If there is one vegetable that has been touted for its health benefits, it is definitely kale. In fact, it has been considered by many people to be the most healthy food on the planet. If you have a look at its nutritional information, it is easy to see why; kale provides you with decent amounts of almost every common vitamin and mineral you can think of. A cup’s worth provides you with 9% of your daily value of calcium. Kale is also a source of the powerful antioxidants quercetin and kaempferol. These substances help to reduce oxidative damage in the body, thereby helping to prevent a large number of diseases. The name of this vegetable gives away the fact that most of it is made up of water; 95% to be precise. Nonetheless, it is still an excellent source of a large number of nutrients, including vitamins A, C, E & K, the B vitamins, manganese, potassium, phosphorus and of course, calcium. Watercress doesn’t have an overpowering flavour, making it a great ingredient to use as the base of green smoothies. For example, you can combine a cup of water cress, a cup of coconut water, half a cup of frozen mango and a frozen banana in a blender; blend for 15 seconds and you will have a cool refreshing beverage to enjoy. You will have started to notice a trend here; leafy green vegetables are very nutritious, which is why experts recommend they should be a large part of your diet. Like other leafy greens, mustard greens are a super source of various vitamins and minerals. A cup of mustard greens provides you with 348% of your DV of vitamin K, 65% of your DV of vitamin C and 6% of your DV of calcium. Depending on where you live, mustard greens may or may not be available. If they aren’t, you can swap them for kale or collards instead. Also known as rapini, this vegetable is common in Italian, French and Portuguese cuisine. It looks quite a bit like ordinary broccoli and provides you with 4% of your daily value of calcium per cup. Eating rapini has been linked with a reduced risk of colon cancer and the prevention of stroke. It is a versatile vegetable that can be steamed, stir fried or roasted, which means it can be incorporated into all sorts of recipes. For example, sautéed broccoli rabe makes for an excellent side dish. The Chinese cabbage goes by a number of names, including bok choy and pak choi. If you are a fan of oriental cuisine, chances are you have eaten this vegetable, and you probably loved its taste as well. A cup of cooked bok choy provides you with 16% of your daily value of calcium, which is definitely an impressive amount. Here are 3 fast and easy bok choy recipes for you to try out that are both healthy and delicious. You can find many more bok choy recipes all over the web. Spinach is high in oxalates, so even though it has quite a bit of calcium, your body may be unable to absorb some of it. However, thanks to its mellow flavour, spinach can be included in all kinds of recipes and large amounts of it can be eaten, meaning you can still get a fair amount of calcium from it. 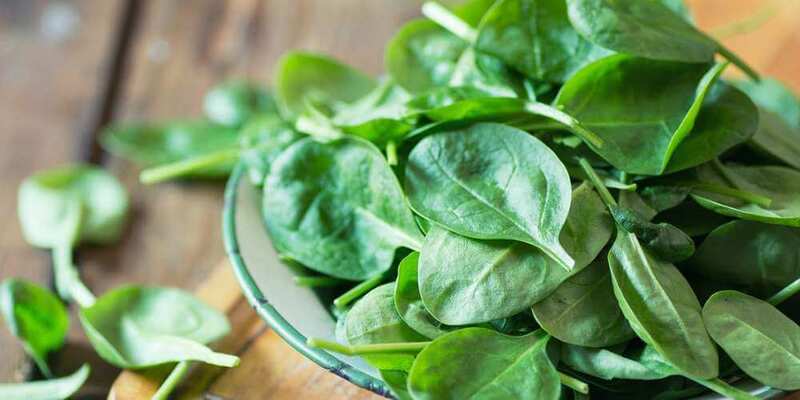 Spinach is also high in antioxidants and vitamin K. Some of the benefits associated with eating spinach are its abilities to fight off cancer, boost immunity and protect eye health. It is another great ingredient to use in green smoothies like this one. You may know this vegetable by another name: ladyfingers or gumbo. It is primarily found in Indian, Caribbean and African cuisine, where it is roasted, fried or pickled and then used in various curries and soups. Studies have shown that okra can help to stabilise blood sugar levels, assist with digestion and lower cholesterol levels. A cup of boiled okra provides you with around 12% of your daily value of calcium, 3 g of protein and 4 g of fiber, all for just under 40 calories. Scallions (or spring onions) are a crunchy vegetable with a refreshing flavour. They mature pretty fast, which is great because you can plant some in your home garden if growing your own food is something that you enjoy doing. A cup of raw spring onions provides you with 7% of your daily value of calcium. 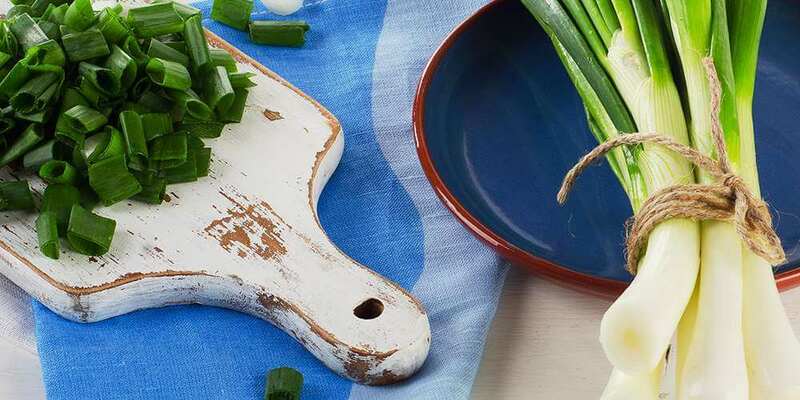 Like with many of the vegetables in this list, spring onions can be used in all sorts of recipes, and works especially well in salads and soups. Purslane is a vegetable that not many people are familiar with, but just like the dandelion green, it is a weed native to India that is likely growing somewhere near you. Despite being a weed, it can still be eaten, and provides you with 3% of your daily value of calcium per cup. Try out this summer salad recipe that has purslane as one of its main ingredients. You may have heard of and even used leeks to make leek and potato soup; this is one of the dishes that they are most famous for. You will find a whole variety of recipes online that show you how to prepare it; here is one that you should try. A cup of raw leeks provides you with just over 50 mg of calcium. Leeks are also a good source of non-heme iron, with one cup having around 10% of your daily value. Endive is a leafy vegetable belonging to the chicory genus, which places it alongside foods like radicchio and sugarloaf. It resembles Romaine lettuce in appearance but tastes somewhat different. Endive is another example of a water rich vegetable, having only 8 calories per cup. Endive can be used as an ingredient in sandwiches, burgers and crunchy salads, or pretty much anywhere you would use lettuce. Swiss chard (or simply chard) is a big part of Mediterranean cuisine. The stems of the leaf come in an array of different colours including yellow, white, crimson and green, which help to brighten up any kitchen. Swiss chard is one of the best sources of vitamin K that these is, providing you with more than 300% of your daily value per cup. It also has around 18 mg of calcium per cup. Besides the vegetables mentioned above, there are others (listed below) that have calcium in lesser amounts. Including these vegetables in your diet is a good idea because eating them helps to increase your overall intake. The table below compares the calcium content (in mg) of 100 g of various vegetables.